There’s this funny thing that happens to you when you travel the world. At first, you start to feel like you don’t really belong anywhere. You feel like you’re searching for your home, but can’t seem to find it. Then, after a while, you start to realize that there are a dozen of different places pulling you in each direction. When you travel so much, different destination, people, and experiences that you know, and are comfortable with, start to make you feel like you want to be in 10 different places at once. Before heading to Colombia, I felt that way. And, honestly, that feeling beat me up a bit. Obviously, I couldn’t be everywhere at once. Obviously, I couldn’t be with all the people I wanted to be with at once; not when they’re scattered all over the globe. I’m a believer that you have to listen to the signals that your mind gives you. You have to give in to the ideas that spring to life in your conscious. And for whatever reason, it felt like the energies of the world were all pulling me back to South America. In the end, I decided I needed to make a trip down to Medellin. I needed to see if I still had the same love for Medellin I had back when I was living there. 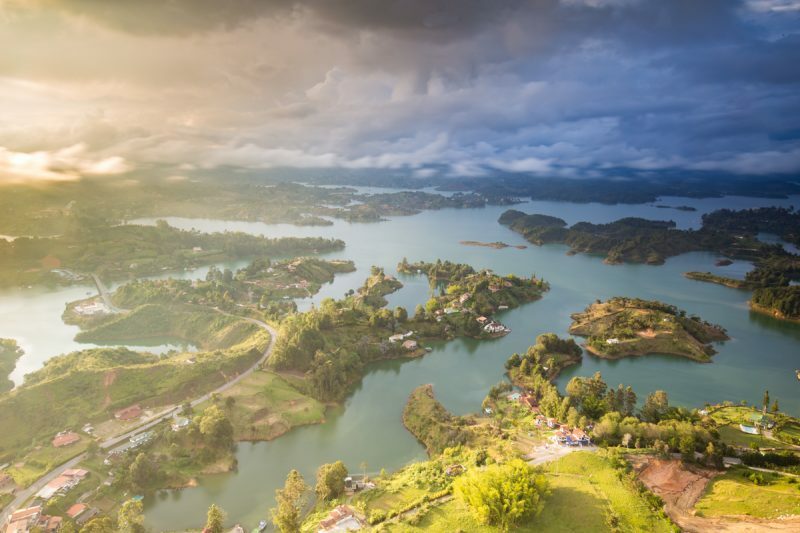 And, so on a bit of a whim, I booked a flight to Colombia. I landed in Medellin after a sleep-free night flying from Phoenix via LAX and Panama City. As soon as I got there, I rolled over to the family finca (country home) of an old friend. There, we sprung plans to head out on a road trip. Because, you know, sleep is over-rated when you can drive across a country. So, we drove through the night to the city of Pereira. The road trip squad. And some random confused-looking stranger. 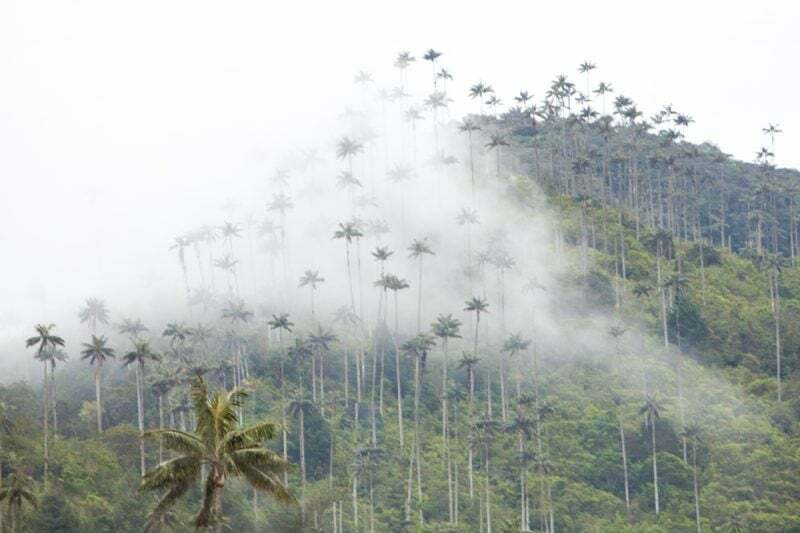 The next day, we drove out to Salento and the Valle de Cocora – both places I’ve been before. With no desperate need to take photos, I kind of just enjoyed spending time with friends and not worrying about getting shots. It’s kind of nice to be a tourist every now and then. I need to remember to do that more often. It reminds be that travel is about more than just getting some shots. That night, we went out on the town. And, yeah, we kind of over-did it. We woke up complete disasters. But, we had a long drive ahead of us back to Medellin. On the way, we stopped at some hot springs in Santa Rosa de Cabral. It was actually the perfect hangover cure, and I’m stoked we stopped. I hadn’t been before, so it was cool to see. And, the location was kind of amazing up in the cloud forest. With my friends heading back to Argentina, I was kind of left alone in Medellin. I used to know a lot of people here. Most of them of have left. The Colombians I knew have all moved on to other countries. The expats have kind of all gone home. And, here I was alone in this apartment looking out at a city I used to know. It was a strange feeling. Kind of like, being left behind when everyone else in your life has moved forward. I guess it kind of makes me realize how all the people I’ve left scattered around the world must feel. So, feeling a little bit apathetic, I decided I needed a trip. I needed to escape the city, and explore a little bit. 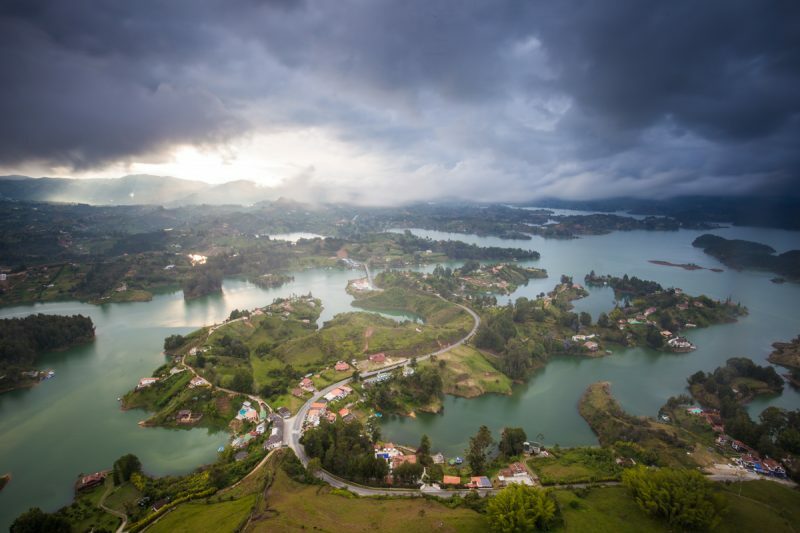 I caught the bus out to a town called Guatape. 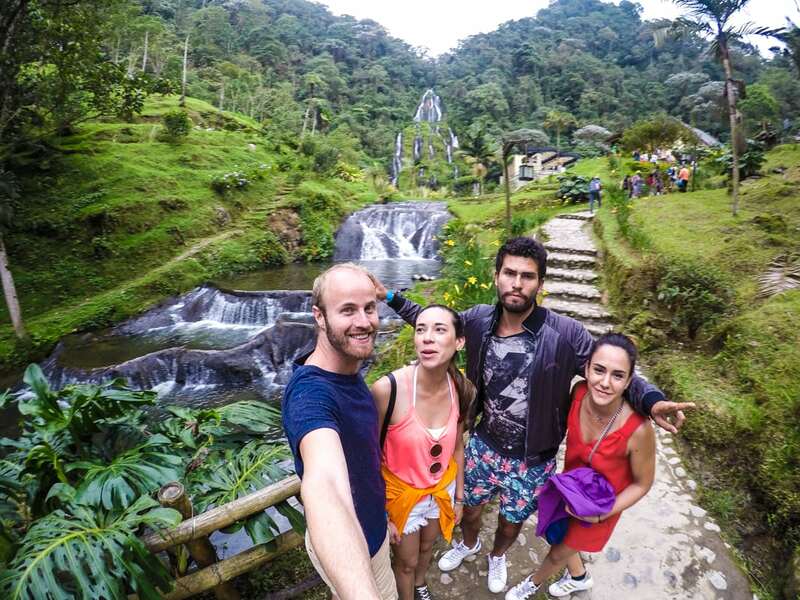 It’s one of the most popular tourists spots in Colombia, not only for foreigners, but locals as well. And, for good reason. 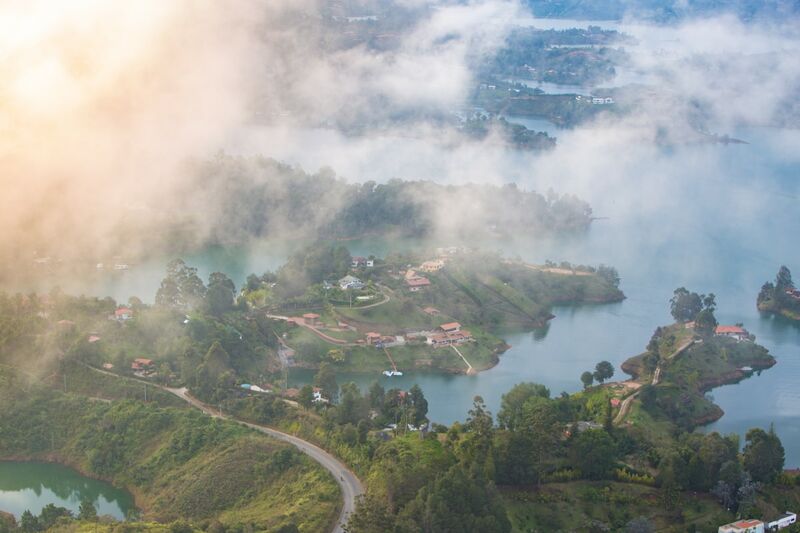 Guatape is beautiful. It’s one of those places that has a lot going on for it. It sits on the shores of this massive lake that’s speckled with a scattering of islands. And, above it all is a giant monolith called Piedra del Peñol. A 660+ step climb will get you up to the view. It’s spectacular. The 360 vistas are unreal. And, because the monolith is so steep, it almost makes you feel as if you have an aerial look rather than a mountain-top view. After climbing up, I shot some images of the view near sunset and then wandered back into town. The next day, I set off back to Medellin. And, while sat on the floor of an over-crowded bus, I kind of came to a realization. Colombia, while one of my favourites places in the world to be, is just too comfortable to me to be home. I need a place that shakes me. I need a place that constantly inspires me to want to explore. I love it here, but I don’t think it’s “home” like it once was. I actually think I hit a pretty nice epiphany in Medellin. I came to the realization that I don’t need to explore every single day of my life, either. And, sure, I want to live in a place that instills me with energy and inspires me to explore constantly. But, it’s also really important for me to spend some time in places that keep my life stress-free. The view from my apartment in Medellin. Over my last couple days in Medellin, I really got into a nice groove of life. I spent time at my home office working, I worked out a little bit, and I hit up a half dozen different coffee shops. I wasn’t stressed out about creating content. I wasn’t stressed out about getting photos for Instagram. I was kind of just enjoying my days. Of course, to get to that point, I had to go through a bit of a phase of boredom. And, if I’m being honest with you, it’s not just boredom. When you’re in the content-creation business, you almost start to feel guilt for not wanting to create. You feel like there are people out there in the world waiting for your work – as self-centered as that might seem. 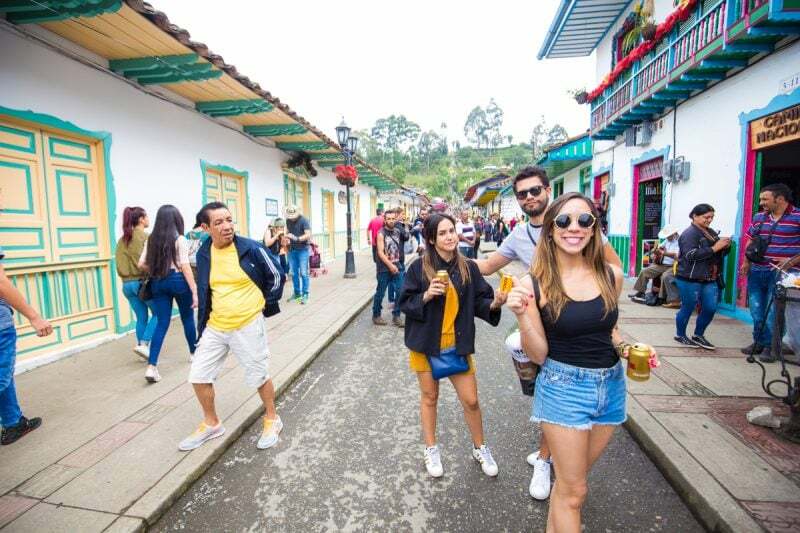 Though I kind of struggled with trying to figure out where Medellin fits into my life at first, my time in the city was exactly what I needed. It gave me a little bit of clarity and closure. It also gave me some guidance for the next couple months. In a lot of ways, it was kind of like getting back together with an old girlfriend. You miss her, so you get back together. But, then there’s something that’s just not right. And, eventually you remember why you broke up in the first place. And, it gives you the closure you need to go on. 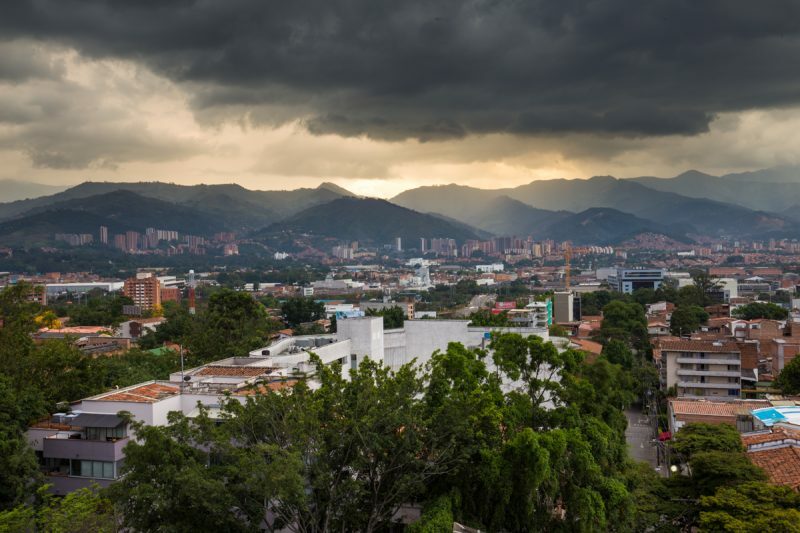 Medellin is still fantastic, and it will always feel like home for me in many ways. But, it doesn’t inspire me. I don’t think it pulls my creativity out. I feel too comfortable in Medellin. To a point that it almost lulls me into a comfortable never-ending nap. So, this morning, I packed up all my gear at 3am and hopped on a plane. Wednesday (today): Fly to Panama, 11 hour layover, fly to Las Vegas. Arrive at 10pm. Thursday: Layover in Las Vegas from 10pm-7am. Fly to Los Angeles. Photo trip on the coast somewhere. Friday: Santa Monica sunrise, 6pm flight to Europe. Saturday: Noon arrival in London, 5 hour layover, flight to Madrid landing at midnight. Even after 8 years of travel, I’m still really bad at planning flights. Stay tuned, as there will surely be some adventures, or mis-adventures, over that period of travel. Hey Brendan, Great post. I am super curious about Colombia recently probably because I love saying the word Cartagena and the Romancing the Stone Movies (still an 80s child at heart). Anyways, love the post and the 1st vlog here. I usually hate seeing drones when I travel but I loved the drone footage you had while your friends were horseback riding! Those mountains and that valley were gorgeous! So that game Tajo (sp?) were the triangles the gun powder or was the thing you tossed? I figured you tossed some sort of stone that was like a flint! That was totally awesome! Sorry to ramble but I also wanted to say that those falls over the hot springs in Santa Rosa de Cabral were just beautiful too! Yo! Yeah, Tejo basically the gunpowder is on the mud in the triangles, and there’s metal below them in the mud. So, when the stone hits them, they explode. So much fun.